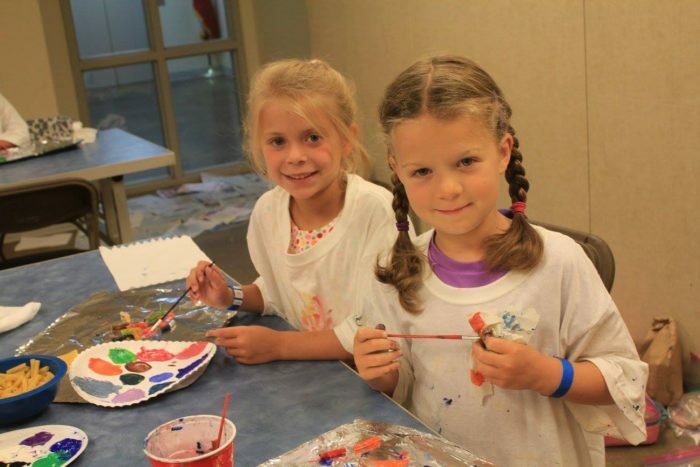 The Discovery Center Summer Camps gives kids a perfect mix of learning and fun! Which is why the DHDC has been voted *BEST DAY CAMP* for 6 years in a row. The learning opportunities are rich with updated, science-based curriculum and qualified teachers. 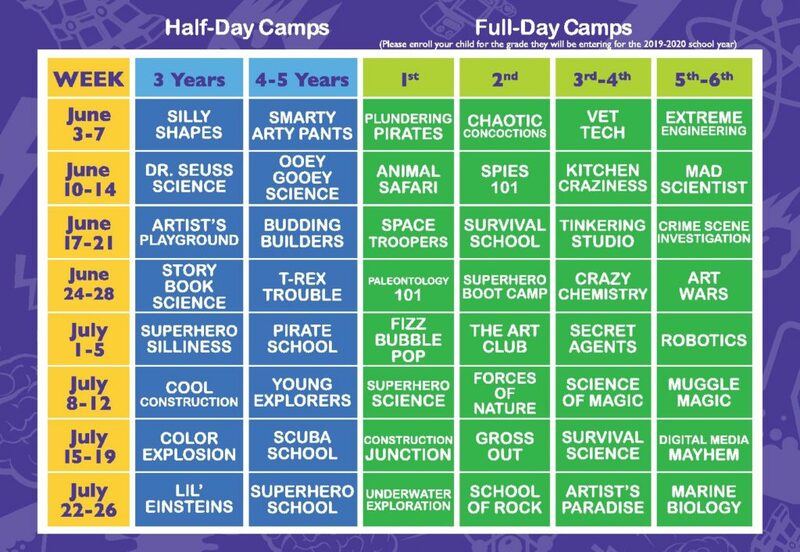 Plus each camp is jam-packed with hands-on science activities and experiments, crafts, discovery and FUN!! Our award-winning summer camps fill up fast, so get your children registered soon! Registration is NOW OPEN! Our week long summer camps are for children ages 3 through entering 6th grade. Keep scrolling down to find the registration link below. Policies and Procedures, and Registration instructions are listed below. CAMP DESCRIPTIONS CAN BE SEEN ON THE ONLINE REGISTRATION LINK, OR YOU MAY ALSO VIEW THEM HERE. YOU MAY ALSO DOWNLOAD THE CAMP BROCHURE HERE. Register as quickly as possible because space is limited and camps can fill up fast. You may register at the front desk at the DHDC during business hours, or you may register online by clicking here. *MEMBERS– in order to receive your member discount, YOU WILL NEED TO ENTER YOUR MEMBER NUMBER OR LAST NAME, WHEN REQUIRED, ON THE REGISTRATION FORM. We apologize, but phone reservations are not available. *Please note that if a camp fills up, there will be an option to be added to a waiting list for that camp. Half-day Camps – $70/week for members*. Full-day Camps -$ I50/week for members*. *Member discounts are for Family, Family Plus, or Grandparent memberships only. One + Guest Members pay non-member camp fees. Pre-Care (7:45-9:00 am) – $30/week. After-Care (4:00-5: 15 pm) – $30/week. Late Policy: A charge of $10 plus $1 per minute will be incurred after 5:15 pm. *Lunches and before/after-care options are available for some camps and you will be able to add those to your selections when registering. Morning camps are 9:00 am to Noon. Afternoon camps are 1:00 to 4:00 pm. Full-day camps are 9:00 am to 4:00 pm. Full-day campers need to bring a sack lunch and drink that do not need to be refrigerated or heated. DHDC offers a lunch from United Supermarkets for $40.00 per week that includes a turkey sandwich, chips, a cup of fruit, and 2 cookies. This option is available on the registration page. Water is provided at DHDC. Please enroll your child in camp for the grade they will be entering for the 2019-2020 school year. By enrolling your child, you agree to the age guidelines set by DHDC. If it becomes clear that your child does not satisfy the age guidelines, he or she may be dismissed without refund. Send your child in play clothes. Some of our camps can get messy. Have your child wear closed-toe shoes. It makes playing outside safer. Please keep all toys at home. We don’t want them to get lost. Please leave cell phones and electronics at home. If you need to contact your child, call the front desk at 806.355.9547. Children need to be potty trained. Our staff is not trained to handle diapers. We provide one morning snack and one afternoon snack. Campers with dietary restrictions may bring their own. T-shirts are not included in registration fees. They are a gift from DHDC, and each camper will receive one for the whole summer. Does your child receive special education support at school? If so, please note, DHDC staff are not specifically trained to work with children with special needs, however, limited accommodations may be available (although not guaranteed). Please contact the Camp Director at 355-9547 ext. 108 before registering. a $10.00 processing fee. Cancellations within 7 days, missed camp days, and missed Pre-Care or After-Care will not be refunded.